We have recycled an old article. Knowing this is an important time of year here in Arizona for the potential of Monsoon, or Wildfire claim, we decided to republish a previous article highlighting the reasons to contact AJR if you discover damage to your property. Will you be able to rebuild if your home or business is damaged or destroyed by a fire? How long will it take you to bounce back if you are wiped out by a flood or hammered by a monsoon? Will you recover quickly from the losses you suffer from vandalism or theft? You might be unpleasantly surprised more than once if tragedy strikes where you live or work – first by the brutal force of Mother Nature and later by the realization that you are unprepared to do anything but accept whatever compensation your insurance company offers. You can avoid this problem by hiring a public insurance adjuster, a person with the knowledge and experience to help you obtain the most favorable settlement possible – someone who represents you and not your insurance company. “We serve as an advocate for the policyholder, but it’s important to remember that the policyholder controls the settlement. We advise and assist.” said Bruce Horowitz, president of AJR Public Adjusters, who has been serving homeowners and businesses for over 30 years, the last 5 summers being here in Arizona. In addition to estimating how much damage has been done, AJR also helps file the paperwork to complete the claim and negotiate with the insurance company. There is no up front retainer type cost like an attorney, for their services, AJR charges its clients a percentage of the settlement. Horowitz can offer his clients the advantages of a wealth of training and more than 30 years as a public insurance adjuster. He and his wife Stacy, who serves as vice president of AJR, moved their family to Phoenix following Bruce’s lengthy career, first with one of the largest and oldest public insurance adjusting firms in the Philarizdelphia area, then in Charleston, South Carolina. Stacy, who handles the marketing and accounting for AJR, has another important job that is critical for the property owner – determining exactly what was lost or damaged. Bruce Horowitz cautioned homeowners and businesspeople to hire only public insurance adjusters who are licensed in the states where they do business. Also to be wary of people claiming to be in a position to negotiate with the insurance company. Only a licensed Public Insurance Adjuster has this authority, not your contractor, mitigation specialist, handyman, etc. AJR is unique as they are one of a few companies who are a member of the National Association of Public Insurance Adjusters (NAPIA) with an office in Arizona. NAPIA is a 60 year old organization that sets the standards for the industry and offers its members educational opportunities and certification in various aspects of the business. Who to call for Property Damage this Monsoon Season. “We serve as an advocate for the policyholder, but it’s important to remember that the policyholder controls the settlement. We advise and assist.” said Bruce Horowitz, president of AJR Public Adjusters, who has been serving homeowners and businesses for over 30 years, the last 4 being here in Arizona. Horowitz can offer his clients the advantages of a wealth of training and more than 30 years as a public insurance adjuster. He and his wife Stacy, who serves as vice president of AJR, moved their family to Phoenix following Bruce’s lengthy career, first with one of the largest and oldest public insurance adjusting firms in the Philadelphia area, then in Charleston, South Carolina. Posted on July 25, 2016 July 26, 2016 Categories Adjuster Information, insuranceTags house claim, insurance claim, insurance help, insurance loss, property damage, public adjusterLeave a comment on Who to call for Property Damage this Monsoon Season. 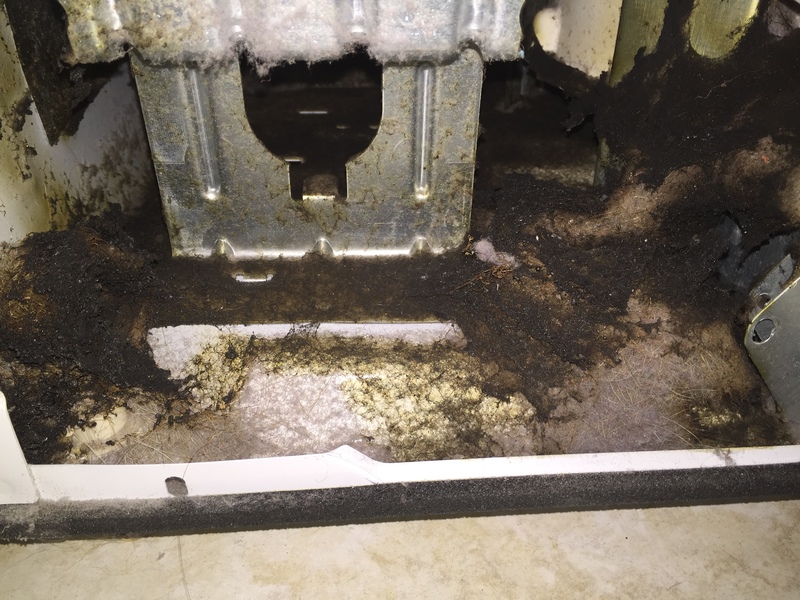 We hope you know you are supposed to clear your lint filter every time you run a dry cycle. 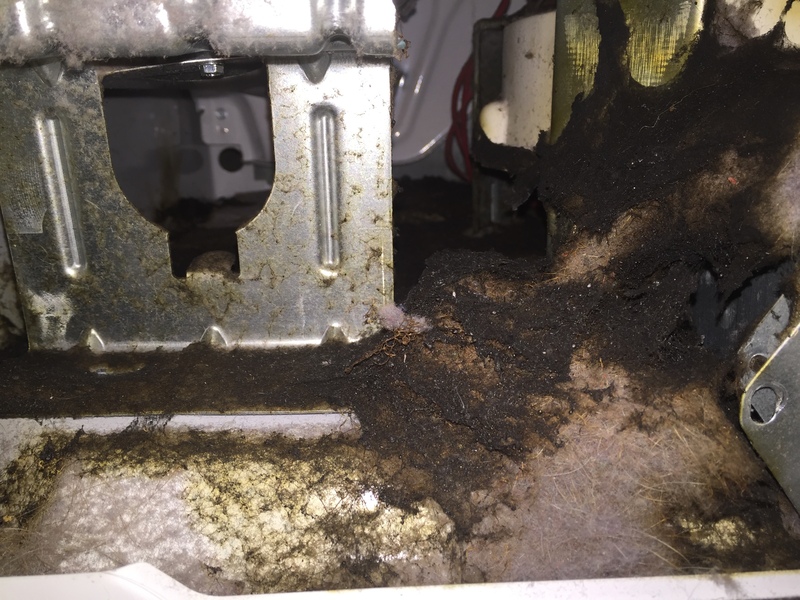 Did you ever consider the lint that is actually inside your machine? 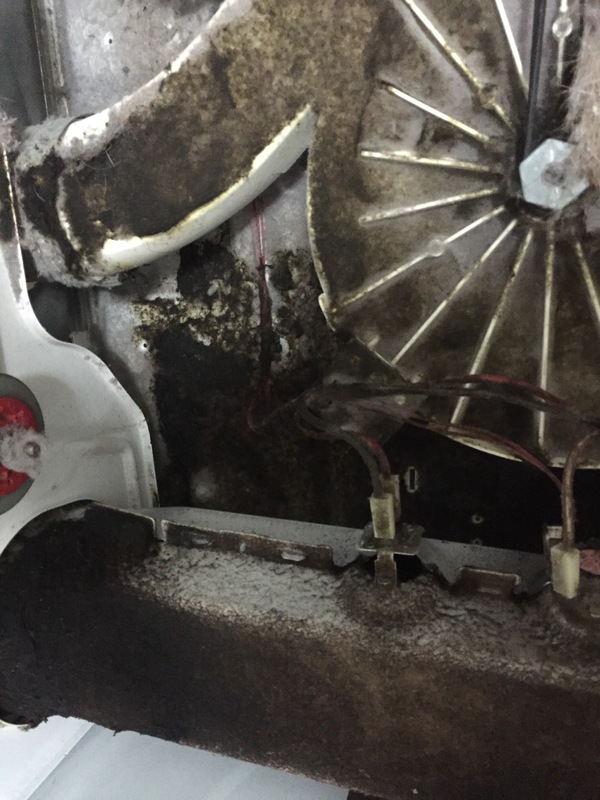 Over the years lint seeps into the mechanism of your machine, potentially causing a fire hazard. If you don’t make a habit every few years of maintenance on the inside, this can be a potential source of fire. 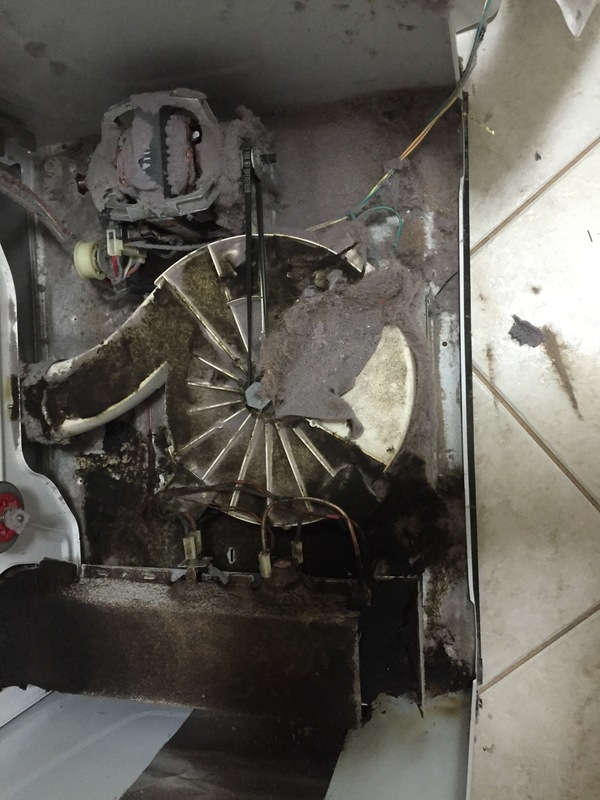 Immediately upon smelling burning, stop using your machine. Call an authorized repair representative and have them disassemble your machine completely and look inside. The representative should then thoroughly clean out all the lint that remains in your machine. This is one important step no one cautions you about, but if followed can help prevent fires. 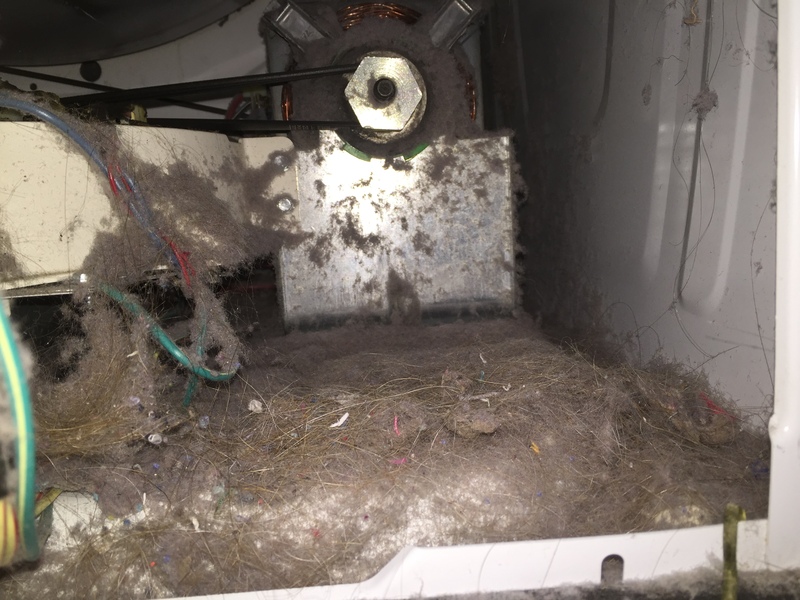 Look at the pictures here and see an actual client of AJR, and the lint contained on their machine. Next time you smell something funny, do not ignore, get it checked. Dryer fires are a serious event, its best to do all you can to prevent a fire in your property.